Gardeners are often frustrated in June and July as they expect well-performing, productive, and beautiful gardens. After all, it is the prime growing season. All is right, except that the rains are not coming. Drought is here. Turns out that drought is a local thing, determined by the rainfall one receives on one’s own garden. Asheville (downtown) has the lowest annual rainfall of any recording site in North Carolina. Moving out from town, rainfall varies greatly on average and for any given year. Your garden may be experiencing a drought when others are not. How does a gardener prepare for the inevitability of lower than expected rainfall—drought? Consider these eight tips. Think about your garden. Garden design is the first order of business. The shape and slope of the site affects the water available to plants. Rapid drainage of soils on steep slopes reduces the water available to plants. Shade may increase the water availability, but shade trees themselves require large amounts of water. 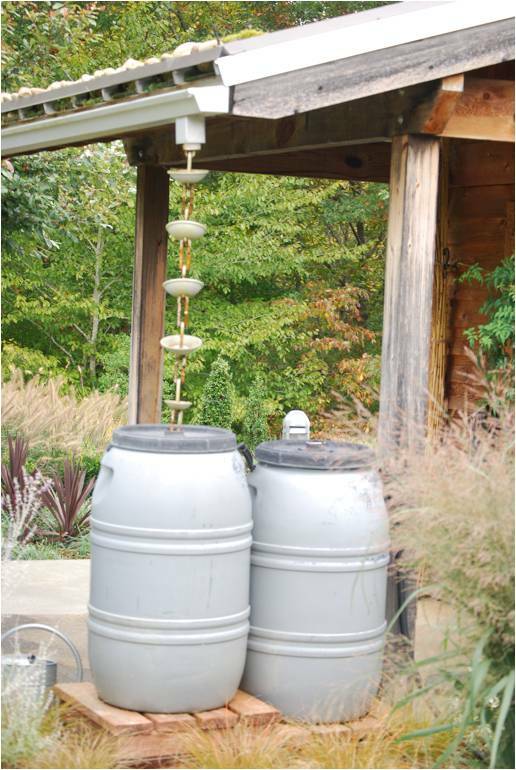 Grouping plants with comparable water requirements improves efficiency if irrigation is needed. Soil type and texture determine water availability to plants. Plants, with very few exceptions, take up water through their root systems. Roots seek water in the soil. Our prevalent clay or clay-loam soils hold water well, but release it slowly. Soils may seem wet, but the water is not readily available to the plants. 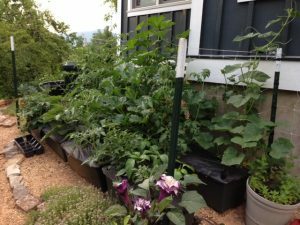 For many uses, especially for annual flowers and vegetable gardens, improving the soil with organic soil amendments will increase the available water. Gardeners love plants—sometimes exotic plants from the far reaches of the earth that require large amounts of water to sustain them. When selecting plants, consider the water requirements and your commitment to provide extra water when needed. Select low-water use plants. 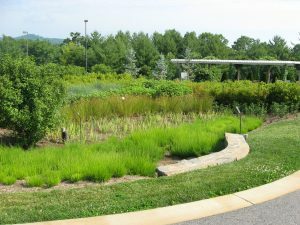 Native plants often adapt better to local conditions and can be more drought tolerant when fully established. Know your turf grass. Cool season grasses, the most common in our area, have two dormant seasons. Keeping a lush turf in midsummer is challenging. It may be best to let it go dormant, as it wants to be. Consider watering in spring and fall if the rains do not come for a more lush turf in cooler seasons. Secondly, consider reducing the area in turf. 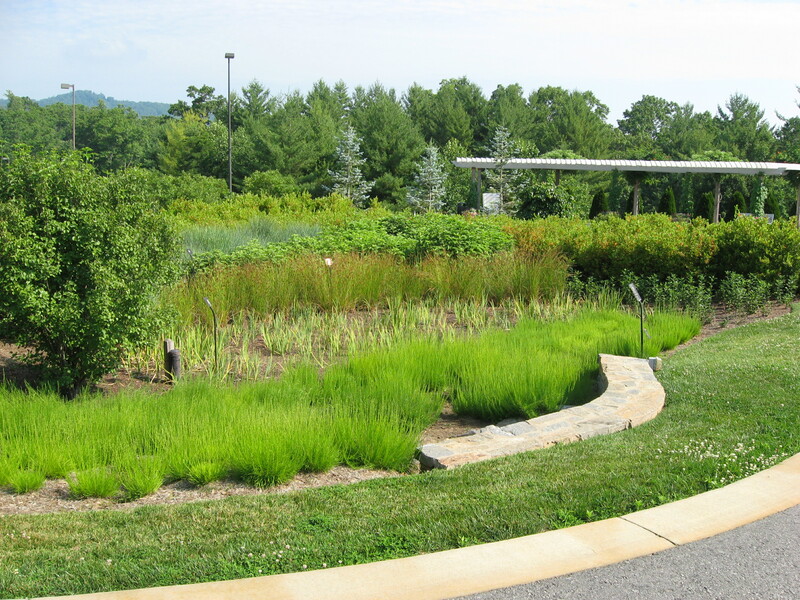 Large expanses of grass can require considerable irrigation, not to mention frequent fertilization and mowing. Covering the soil in garden areas with mulch reduces the loss of water to the atmosphere. Use non-dyed, organic materials only and cover deeply—three to four inches. Ideally, one would use only materials available on their property, such as decaying leaves and other plant materials. This is not always practical. An alternative is to grow soil-covering plants such as a groundcover. Keep beds and vegetable gardens free from competing plants (weeds). Cutting or pulling young plants keeps gardens neat and makes more water available. Consider using the pulled weeds as compost. Irrigate plants when needed, but do so efficiently. Plants need deep water at the roots, but only when the soil is dry. Feel the soil with your hands to determine if it needs water. 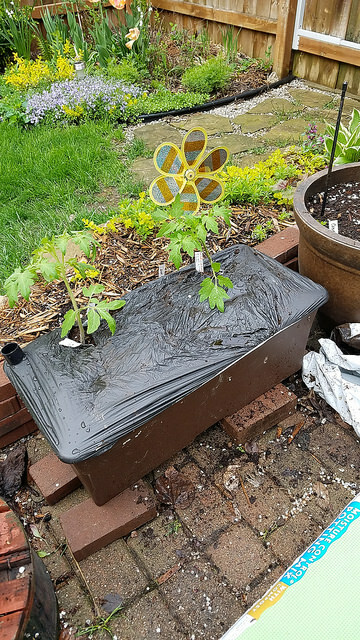 Spraying water over the tops of plants does not provide efficient watering. 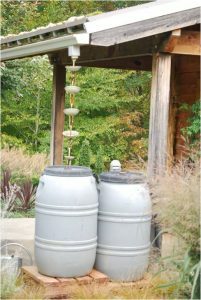 Create land shapes, install rain gardens, and use rain barrels to catch and take advantage of the rainfall that reaches garden areas. Move water to needed plants using gravity where possible. Gardening in drought conditions is rewarding if gardeners plan and act as if they expect dry conditions. If rains are above expectations, all the better. Being prepared rewards with better results. Article written by James Wade, Extension Master GardenerSM Volunteer. On August 17, the public is invited to attend the Gardening the Mountains presentation, “Drought Tolerant Gardens.” James Wade, our speaker, will expand on the ideas he presents in this blog. Watch for an upcoming blog in early August announcing the time and place for this presentation.